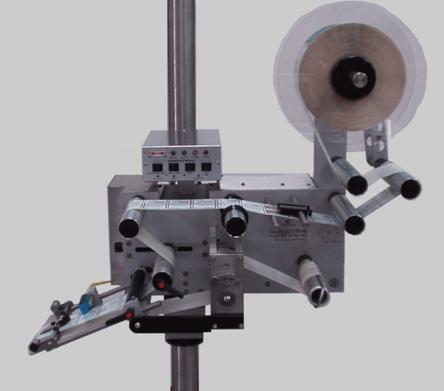 K505 - Main Line Label Applicator. The K505 label applicator with its robust and versatile design has a proven track record within a wide range of industries and production environments. Now incorporating the revolutionary Panasonic servo drive system, the K505 is more reliable than ever. This unit can be used as a stand alone label applicator, or as part of a fully automatic and integrated production line. The K505 forms a basis for many bespoke labelling systems and is effective at providing solutions for all today’s labelling requirements, from prime labelling to complex print/apply operations.